Sinister 2 is the latest outing from the top horror production studio in the business today, Blumhouse. The film is the sequel to the 2012 hit Sinister (REVIEW) and with any luck was hoping to recapture some of what Scott Derrickson and Ethan Hawke did so well with the small little horror originally. Unfortunately, as is the case with most sequels in this genre, the follow-up plays too closely to original without realizing what made the first film work. The film centers on Deputy So-and-So (James Ransone), the only returning character from the first, as he attempts to destroy the child snatcher demon Bughuul by burning all the houses he has previously disturbed. Things go less according to plan when a house is found to be inhabited by a mother (Shannyn Sossamon) and her sons (Robert Daniel Sloan & Dartanian Sloan), throwing a proverbial wrench into the Deputy’s plans. The determined Deputy only has a limited amount of time to dispel Bughuul’s curse before the family is killed in gruesome fashion. 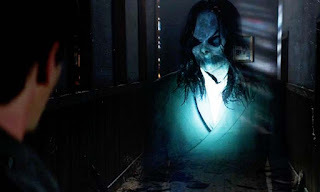 One of the most unique ideas of the original, and honestly what gave it the creepiness it had, was the 8mm films that Bughuul has used to corrupt the children and eventually possess them. The beauty of their use in the first film was that they always were used in story to help Ethan Hawke’s character get to the bottom of how the demon operated. However in the sequel, each film is presented simply to scare and is very illogically used device. The son’s simply go along with viewing the disturbing images before them and then just going to bed. There isn’t any sense of dread, as the kids know exactly what is going on the entire time, thus creating a lack of suspense and mystery. Beyond that, Bughuul is used in such a way that he loses any scary factor he had gained in the first film. Before there was a sense of creepiness and vagueness to him, but here he is simply standing in a doorway or in a window as if he was placed there simply for the audience to see. He never does anything truly scary, as even the corruption of the children seems to be taken on by the previously possessed children. Speaking of children, the child actors in this film are laughable. Sure I know child actors aren’t the best to begin with, but some of the line delivery here is cringe worthy, almost as if they’re reading them off of cue cards. Beyond these children, the other actors are serviceable enough. James Ransone plays the kind of awkward Deputy pretty well and his chemistry with Sossamon is tolerable. I personally thought Sossamon did a pretty fantastic job for what was given to her. 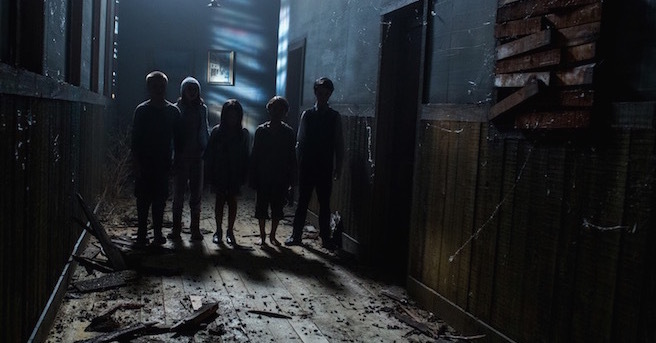 So what did you think of Sinister 2? Have you seen it, are you interested in seeing it, or are you you just too scared of what Bughuul might do? Sound off below with your comments or feedback and remember to come back for weekly reviews.